In their isolated inside-the-beltway arrogance, it appears the Obama administration did not anticipate the huge "blowback" resulting from Obama's decree that Catholic institutions provide birth control, abortion drugs, and other contraceptive services. But folks, Obama is not alone in his callousness towards the most innocent of human life. Think of the Secular Progressive Movement as a pro-abortion patchwork quilt of various anti-America groups. These people hate everything about America from the light bulbs we use, to our consumption of beef, to our love affair with the automobile. They believe America is the greatest source of evil in the world; everyone else in the world has too little because America has too much. Now get this, folks — a large number of these environmental zealots are mega-wealthy Hollywood people and Democrat politicians who live in mansions and travel everywhere in limos and private jets. They consume more fuel and resources per month than most of us will consume in our entire lifetime. I was shocked when I picked up a government- funded brochure at my local library that laid a huge guilt trip on young couples, instructing them not to have a baby to "save the planet." Abortion is the thread that joins each wacko anti-America patch of their Secular Progressive quilt together. Why? Why is the left so fanatical about killing human babies? If it is about "choice" as they claim, why are they infuriated when a woman "chooses" to have her baby? Case in point: the left's hysterical outrage over the Super Bowl ad in which Tim Tebow thanked his mom for not aborting him. "Colored people are like human weeds and are to be exterminated," said Margaret Sanger, founder of Planned Parenthood. Seventy-eight percent of Planned Parenthood clinics are in black neighborhoods. 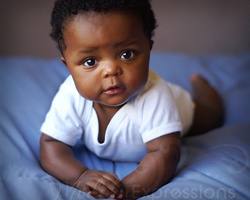 Blacks only make up 12% of the population, but 35% of America's aborted babies are black. Half of black pregnancies end in abortion. Is this an intentional genocide? "The most dangerous place for an African-American is in the womb" — Pastor Clenard Childress, Jr. Blacks are the only minority in America experiencing declining population. Why? Why are these leftist blacks more loyal to their Holy Grail of abortion than they are to their fellow blacks — all the while claiming rich, white Republicans and the Tea Party are the enemies of black America? What is up with these people on the left? Why do the same folks who passionately defend the life of a whale, a spotted owl, a baby seal, a toad, and a death-row serial killer get extremely angry at the mere suggestion that a woman consider not killing her baby? Why? I can only conclude it is a spiritual thing. I know what some of you are thinking. There you go again, Lloyd, bringing God, good, and evil into the mix. Well, there is something extremely evil and godless about the left's obsession with killing babies. Obama's obsession is so strong he is willing to risk losing re-election. How else can you interpret Obama basically giving the finger to Catholics, of which a majority supported him last election? I once thought Obama voted against the Born-Alive Act and passionately supported Planned Parenthood to secure the hard-core radical feminist vote. I was wrong. Obama's commitment to abortion goes far deeper. Limbaugh nailed it: "Abortion is the sacrament to the religion of Liberalism" — of which I, Lloyd Marcus, believe Obama is a zealot. Arrogant egomaniacs have a tendency to overreach. Who was the guy in Greek mythology who flew too close to the sun despite being cautioned not to do so? Oh yeah, Icarus was his name. The wax that held his wings together melted and Icarus fell to his death. Mr. President, you may have flown a bit too close to the sun with your latest in-your-face attack against people of faith. Even the "superglue" of your race will not be able to hold your wings together this time. I pray that, come November, your fall will be great.